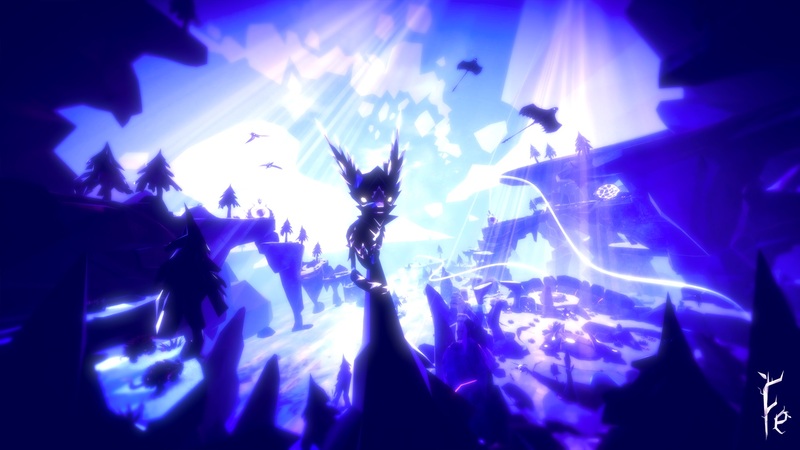 What little we've known about Fe has seemed cleverly wrapped in enigma, like this forest is hiding mysteries that are just begging to be solved. That's half true. There's something to uncover at nearly every turn in Fe but nothing ever becomes any more clear. 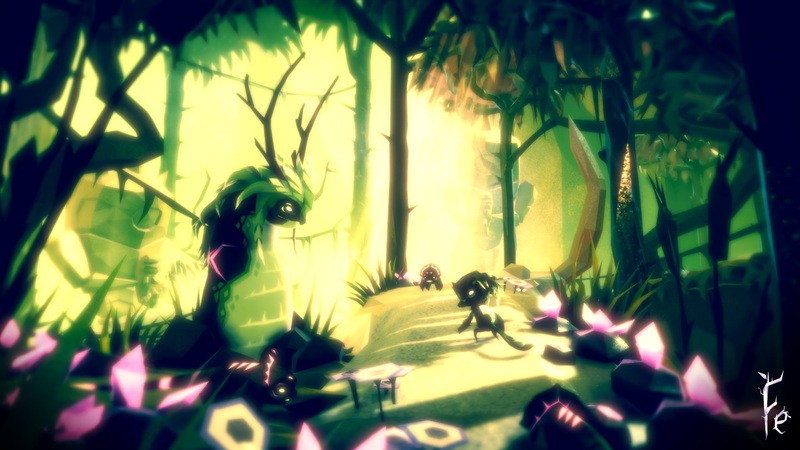 Instead, Fe plays like a paint-by-numbers of stylish artsy games. It technically has a lot of the traits of a title that's poised for critical success. But all of that never jells in a way that rises above the expectation of the mystery. It's far easier to get physically lost in this forest than it is to get lost in an immersive sense. Fe's opening minutes are, to be blunt, abrasive. Given control of a woodland critter and no real sense of direction, we discover that the primary means of interacting is to sing at things. Certain foliage glows when bellowed at, so there's an understandable inclination to hold a steady note and hope something positive happens. It's obnoxious. 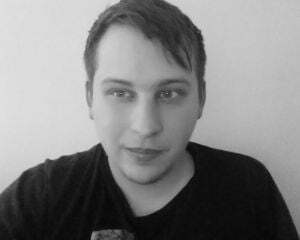 Eventually, the rules become a bit more clear and it's not necessary to abuse any mechanics. Gently singing at other creatures forms a beneficial bond with them. The forest is cordoned off into areas that require various skills to access. Best one section and you'll acquire a song that is needed to get to the next section -- and you probably won't need the help of that particular animal anymore. Tangentially related, collecting hidden pink gems unlocks a different set of skills that seem to make getting around just a touch easier. Not long into Fe, it's obvious that this forest is not as serene as it initially seems. Robotic sentry-likes called the Silent patrol the whole place, harassing and capturing any wildlife that they come across. There's a tonal shift that comes with wandering into these areas. Everything goes from the warm neon hues that signify vibrancy to a more red-saturated palette that represents danger. Navigating these bits -- staying out of the line of sight of the Silent and hiding if seen -- is the most aggressive challenge Fe has to offer. However, they always come with a greater duty. An early section tasks us with finding a bird's four stolen eggs. Another area asks us to shut down beams (four again, if memory serves) in order to free a deer from its shackles. Helping others teaches us the ways of the forest, and there's probably a real-life lesson hidden there about altruism and selflessness leading to self-betterment. But it's all so ambiguous. Everything. Despite having seen the entirety of the forest several times over, I'm still not actually familiar with any single part of it -- much less adept at effortlessly traversing it. There's a clear conflict, but it's unclear why it exists or how we're progressing toward resolution. I found myself estimating I was nearly done with Fe solely based on the entries in my song wheel being filled up, not because stakes had ramped to a natural boiling point. There are signs that developer Zoink Games knows how prohibitive all this open-ended ambiguity can be. There's a map overlay that points you right toward the objective. Screeching will summon a bird that flies exactly where you're supposed to go. They both feel at odds with the theme of discovery, even if they unquestionably make it less frustrating. It's a weird player-friendly concession for a game that seems like it wants you to discover everything on your own. For a game that leans so hard into the feeling of discovery, Fe has shockingly little to say about anything. It has no clear goals or worthwhile revelations. The idea of mystery is more alluring than any of the actual mysteries in this forest. It's certainly pretty, and the platforming and light puzzle-solving are adequate enough. 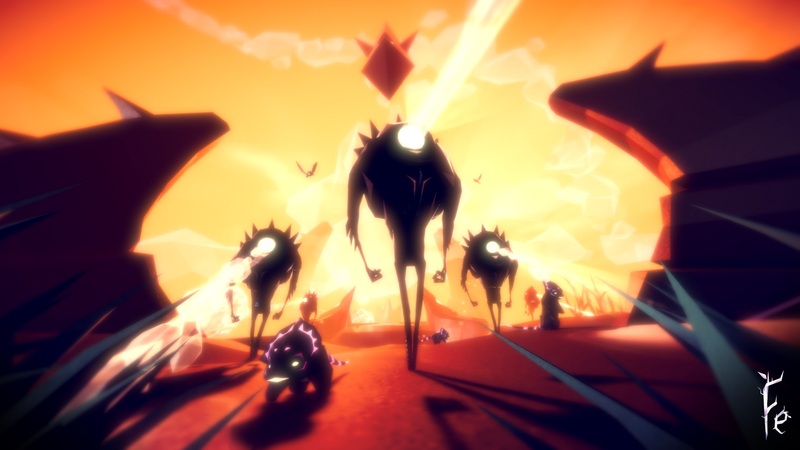 But Fe very obviously aims to evoke a certain emotional response, and it fails to evoke much of anything at all. That's nothing short of disappointing. Sometimes the trees are just trees.